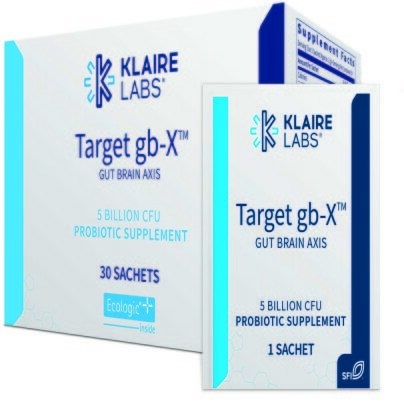 The gut brain axis refers to the communication network between the central and autonomic nervous systems and the gut microbiome, gut-associated lymphoid tissues, the hypothalamic-pituitary-adrenal (HPA) axis, and the enteric nervous system. It is a complex interaction whereas the microbiota engages locally with intestinal cells as well as communicating directly with the central nervous system through neuroendocrine, immune, and metabolic pathways.1 Research into gut brain mechanisms is rapidly evolving our understanding and serves to inform the development of targeted probiotic formulations. 1. Carabotti M, Scirocco A, Maselli MA, Severi C. The gut-brain axis: interactions between enteric microbiota, central and enteric nervous systems Ann Gastroenterol. 2015 Apr-Jun; 28(2): 203–209. 2. Abildgaard A, Elfving B, Hokland M, Wegener G, Lund S. Probiotic treatment reduces depressive-like behaviour in rats independently of diet. Psychoneuroendocrinology. 2017 May;79:40-48. 3. Steenbergen L, Sellaro R, van Hemert S, Bosch JA, Colzato LS. A randomized, controlled trial to test the effect of multispecies probiotics on cognitive reactivity to sad mood. Brain Behav Immun. 2015 Aug;48:258-64. Dissolve the contents of 1 sachet in 3-4 oz. of lukewarm water or mix with a dairy product such as milk or yogurt. Gently stir before consuming. Take on an empty stomach in the morning, before bed, or as directed by a healthcare professional. Suitable for children from the age of 1 year. Other Ingredients: Maize starch, maltodextrin, inulin, polydextrose, vegetable protein, magnesium sulfate, and manganese sulfate.